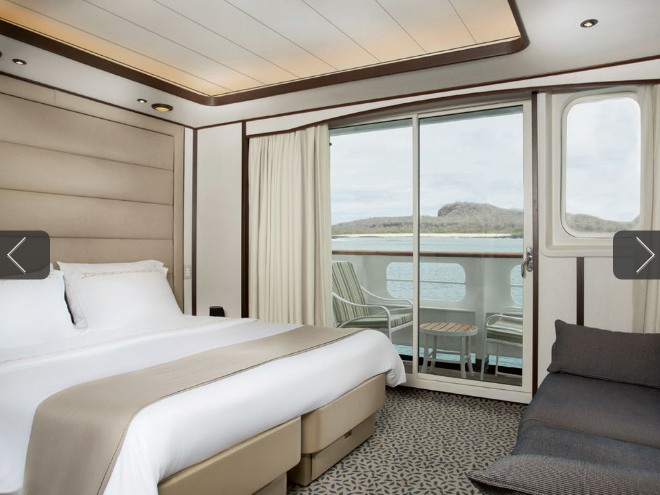 Meet the newest addition to Silversea's fleet of ultra-luxury ships: the 100-guest Silver Galapagos. With sleek lines and a proven skill for navigating the waterways throughout the Galápagos Islands, she is naturally suited for in-depth explorations of this spectacular region. 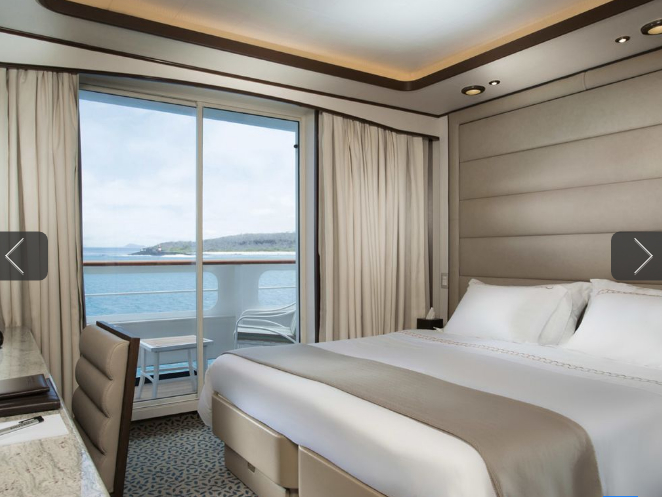 She offers all the intimate conviviality and elegant sophistication that has made Silversea the preferred choice for today's discerning travellers. All accommodations are ocean-view suites, most feature private balconies – and all offer the personalised services of a professional butler. Relax completely and leave the unpacking to your butler as you sail away on your unforgettable adventure. Like-minded guests from across the globe are your travelling companions, and the intimate ambience is much like a country club where conversations flow as easily as the complimentary drinks. 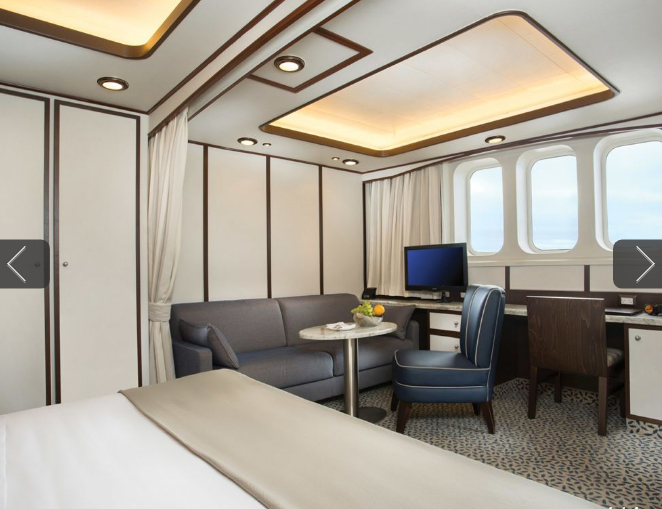 The spacious Veranda Suite’s plush comfort with more space to relax. 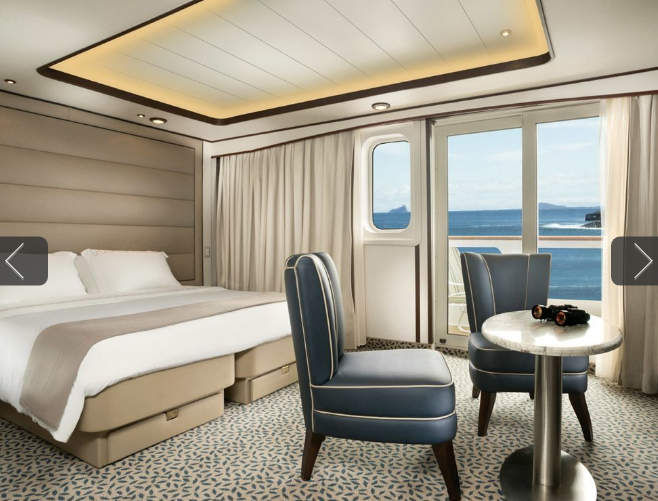 The private balcony with patio furniture vaunts panoramic views throughout the cruise. 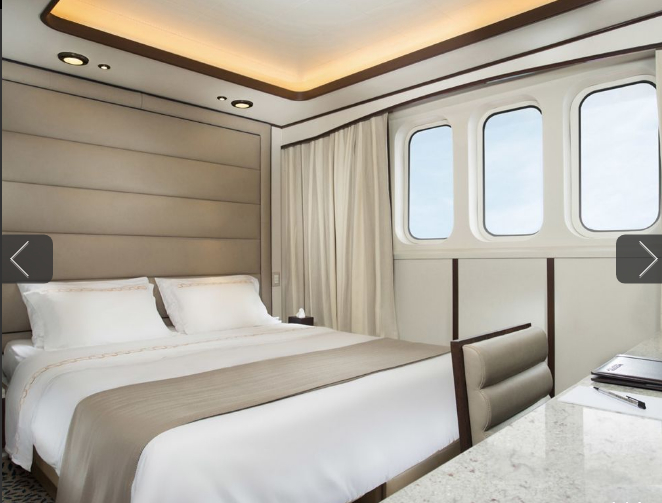 Three guests can rest comfortably in deluxe elegance.